Okay, here’s the deal from my vantage point – and a heads up to newcomers in the field. If you are copying or lifting a drawing from another artist and not giving that artist credit, that’s a swipe. If you do give them credit it’s an homage. And giving credit is a very simple thing to do. Just write the word, “after” – then the artist’s name. Here’s an example. 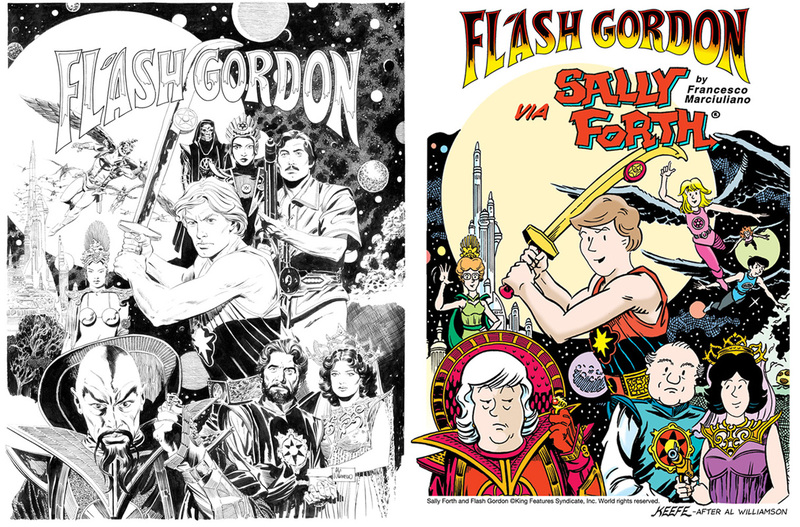 On the left is Al Williamson’s original drawing – and on the right my drawing with the accompanying credit line. Here’s another one. 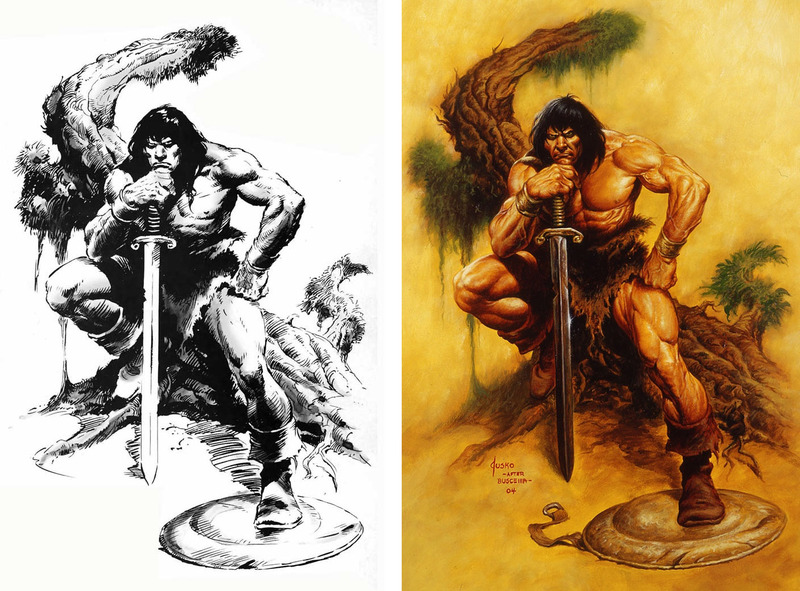 Mark Schultz using a mirror image of a Williamson pose – then putting the credit line in reverse as well. Last but not least, Joe Jusko after John Buscema. A credit line is a tip of the hat to the hard work another artist has done which you are standing on the shoulders of. And generally speaking, artists get enough crap without getting ripped off by other artists (see Rob Granito). Give credit where credit is due. 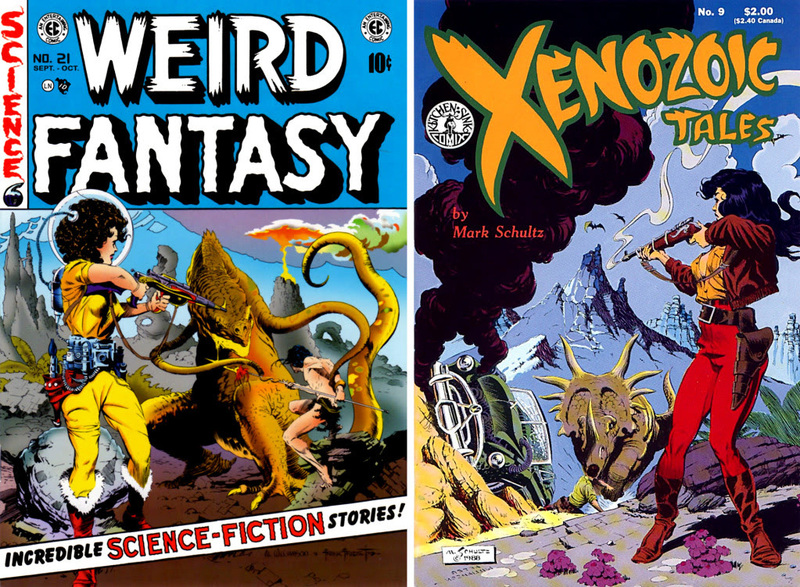 The Schultz image I grabbed off the blogspot ilovecomiccovers. There are lots more side by side comparisons to be had there – go check them out. And for more of Jusko’s work, check out www.joejusko.com. This entry was posted in Al Williamson, Business of Cartooning, Sally Forth and tagged Joe Jusko, John Buscema. Bookmark the permalink.